Make Direct Energy your Michigan natural gas company and trusted home services provider for plumbing, electrical, and HVAC services. Check out Direct Energy for your Michigan natural gas needs! We deliver fixed-rate natural gas plans your budget will love, and home services your home will appreciate. Get ready to lock in natural gas rates that won't change for the life of your contract term, because no one should have to suffer through seasonal price shifts. Regular maintenance of your home's essential systems is key to keeping you comfortable and safe. 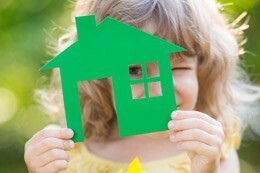 Direct Energy's Home Protection Plans cover your heating/cooling, electrical, and other systems. Get peace of mind and protection from unexpected breakdowns. Your home in Michigan is your most valued investment. When systems don't work as planned, you deserve full, clear communication about all the work being performed in your home. Choose home services from Direct Energy and work with professionals who will take the time to explain what's going on and answer all of your questions. Stay connected to your account 24/7 with our Online Account Manager! 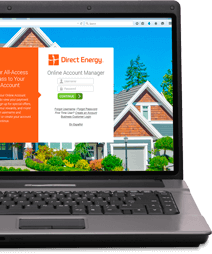 When you create your account, you'll be able to keep tabs on your energy use, set up Auto Pay and paperless ?billing, and learn about new and interesting product offers! 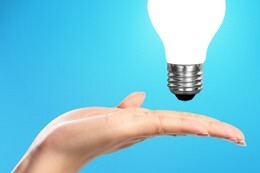 Ever wanted to know more about the energy industry or how to be a more informed consumer? Head over to our Learning Center and bask in the glow of knowledge. Check out information on home improvement, green living, energy efficiency, weather preparedness, and more. Safeguard your home's essential systems with a Direct Energy protection plan. Our flexible coverage lets you stay one step ahead of household breakdowns. Because of the amount of time we spend in our homes, creating an environmentally-sensitive home is a way to practice the green-living lifestyle with impact. The seven tips below can help anyone make their home more eco-friendly so you can start living green at home today. The era of the smart home is here, and we're creating opportunities to connect you and your home in a smarter, more energy-efficient way. By focusing our efforts on innovation, we're able to bring you the tools to help you stay connected - whether you're sitting on your couch or you're halfway across the globe. Join our Facebook, Twitter, Instagram, Pinterest, YouTube, and LinkedIn communities for the latest industry news, important weather information, and helpful hints on energy efficiency. Check in for special promotions and games on our pages - there's always something fun going on. We can't wait to connect with you! You've got natural gas choices. Thanks to our deregulated market in Michigan, you now have other options besides your utility company. Learn more about deregulation by visiting our Learning Center. Direct Energy is honored to service the homes of the men and women in our military communities. With our Military Savings plans, you'll enjoy an exclusive discount on natural gas service for your home. It's our way of saying thanks for all you do.